Rebecca, this is one of the most darling snowmen I have seen all year. 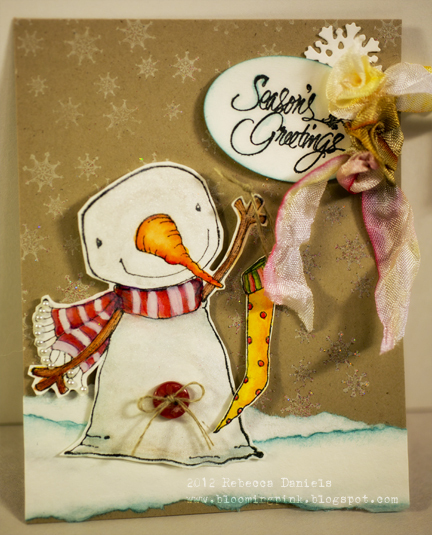 Love your coloring and gorgeous dimension on this card. Super cute. That snowman is SUPER cute! I haven't heard of that stamp company before. I learn so much from you!